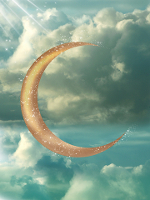 Dr. John Beaulieu, N.D. Ph.D.
Celestial Energy Center is a healing arts center, under the guidance of Master Healer, david castle along with other gifted healers. We provide workshops, classes and events covering various energy modalities. It is our pure intent to be of service to others and to help fellow lightworkers along their spiritual paths as we move forward towards the Great Shift. It is also our intent to help lift the frequency and vibration of all whose lives we touch and also the environment and the planet for the Highest Good of all. We believe that we are all One.